Courchevel Fire - how safe are seasonaires in ski resorts? Snowboard TipsView all our snowboarding tips. 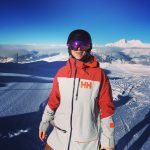 Beginners Ski TipsNot sure where to start? Advanced Ski TipsRead up on advanced ski techniques and advice. Ski Instructor AdviceHow to become a ski instructor. Snowsports ClothingSki and Snowboard clothing reviews and advice. HardwareSki and Snowboard equipment advice and reviews. BooksSki and Snowboard book reviews. OpinionWe like to discuss things and this is our opinion on all things ski and snowboarding. I carried out the Helly Hansen Lifa Loft Hybrid Insulator jacket review as a mid layer under a shell jacket. Does this type of layered system really work? A few of my snowboarding buddies have been wearing this type of layering system for years and rave about it. And it does makes sense as you can have the mid insulator jacket on for cold days, or wear just a shell jacket for warmer weather. I must admit that my first impression was not great! I didn’t like the shiny black styling as it reminded me of a bin bag. Helly Hansen have many other colour options and I personally think the dark blue would have been more my style. 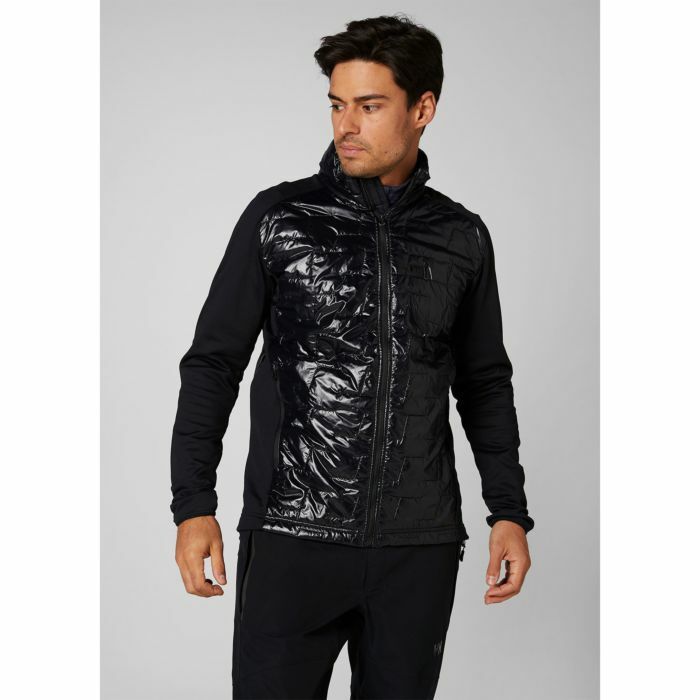 A big feature is that the jacket has LIFALOFT™ insulation technology. LIFALOFT™ has a 20% lighter warmth to weight ratio than other similar products. I could tell the difference instantly as the jacket felt very light. Being vegan i was also impressed that LIFALOFT™ has a smaller carbon and water footprint than comparable polyester. 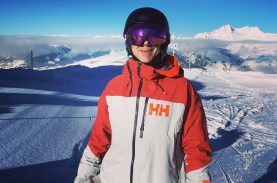 I wore the Lifa Loft Hybrid Insulator jacket under the Helly Hansen Ride Shell 2.0 jacket and it was the perfect combination. Although super light, the insulator jacket immediately felt warm. Then continued to keep me warm in quite challenging weather conditions on the slopes. Meanwhile, I was protected from all the elements from the excellent shell jacket. LIFALOFT™ creates the warmth by trapping a maximum amount of air into a small space. This is also why it is lightweight and low profile. This was ideal as when I got too hot, i could take the insulator jacket off and easily fold it up to store in my backpack. 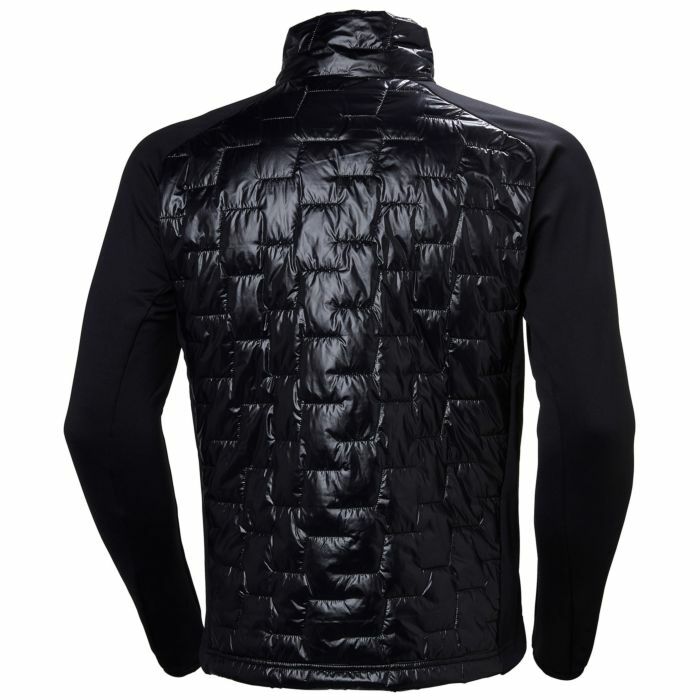 As the name suggests, the Lifa Loft Hybrid Insulator jacket can also be worn on it’s own. The water resistant and windproof properties would be okay for fair weather riding but not for heavy snowy conditions. Ideal for spring riding when there still could be a nip in the air. 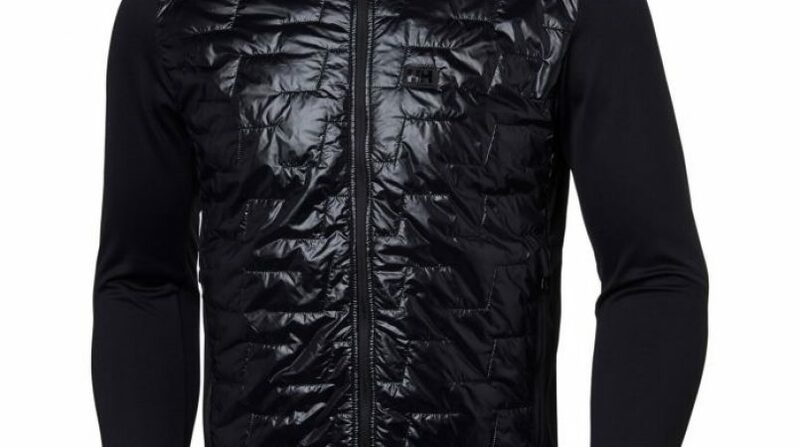 Apart from the shiny black look, I absolutely loved the Lifa Loft Hybrid Insulator jacket. It is ideal when used as a midlayer under a quality shell jacket. I have been sold on this type of jacket layering system and Helly Hansen do it well! Firmly established within the snow sports industry, Mark Barber is Snowboard Editor of snow.guide. Mark has a solid background in snow sports and travel writing, as well as being an international published author. Get our weekly article round-up. Courchevel Fire – how safe are seasonaires in ski resorts? Wed’ze Carv 700 MIPS Helmet Review – A Teenager’s Point Of View! 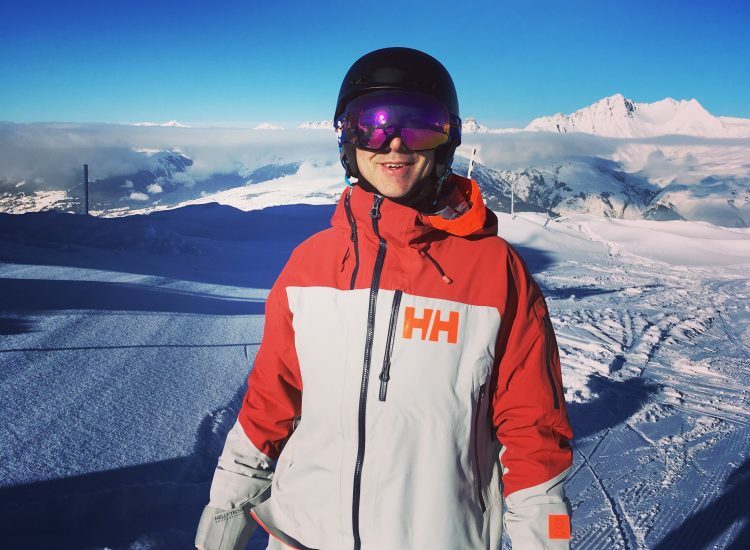 Should You Have A Ski Lesson Before Your Ski Holiday? The Snow.Guide is a snowsports website by Robert Stewart, qualified ISIA ski instructor and ski journalist and snowboard editor Mark Barber.